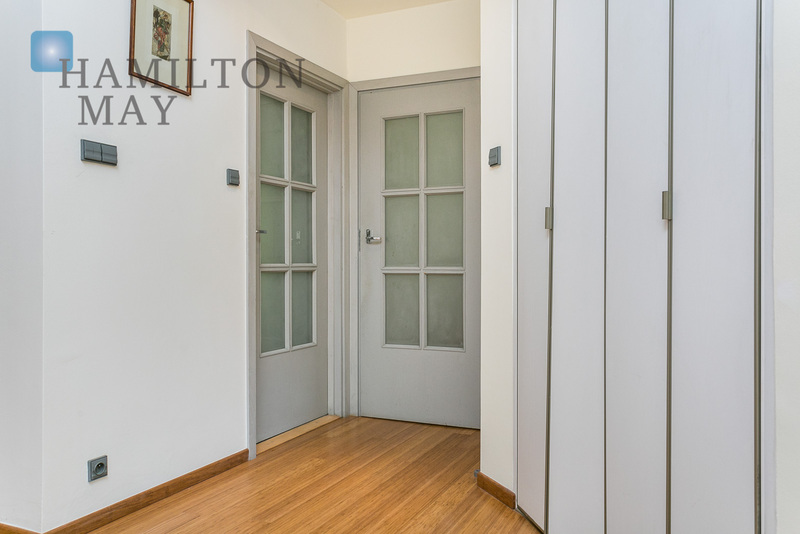 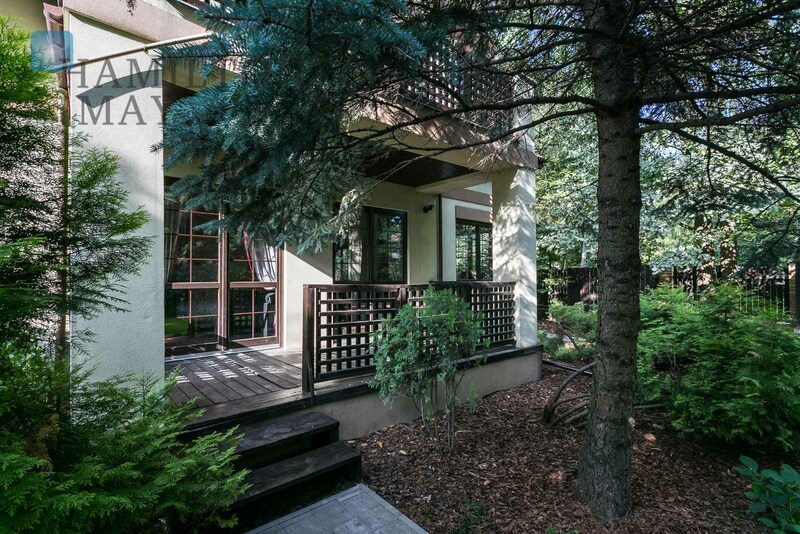 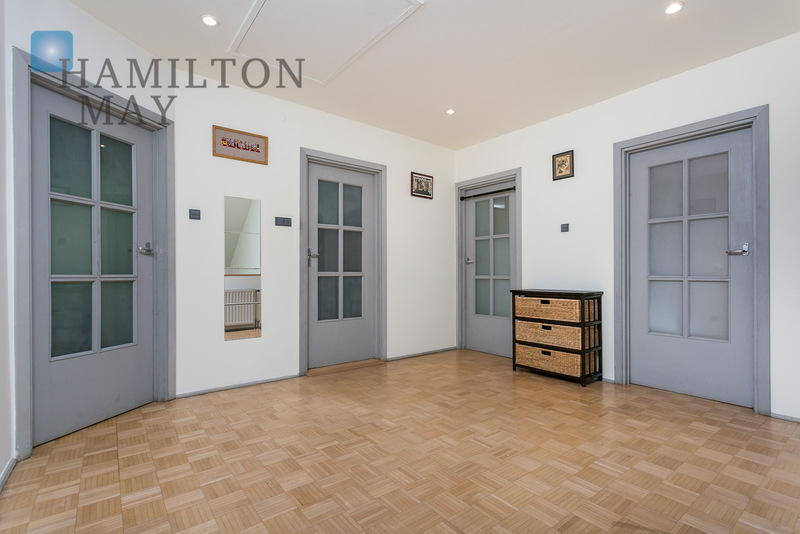 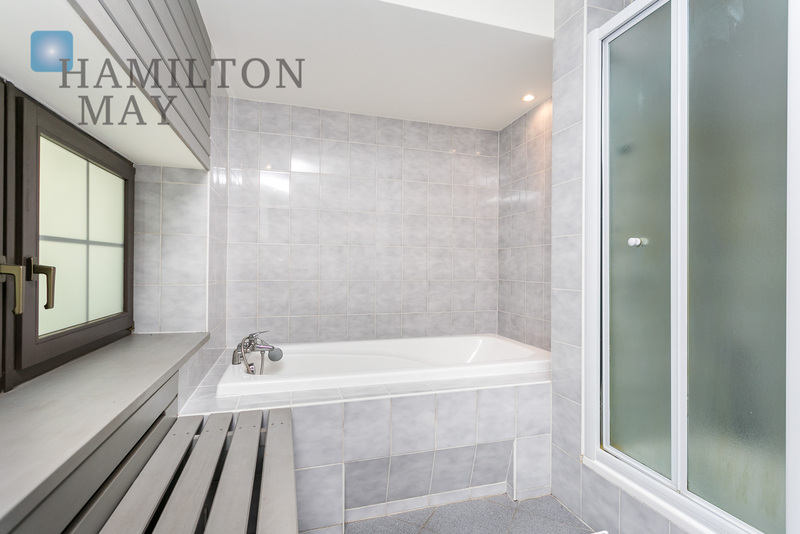 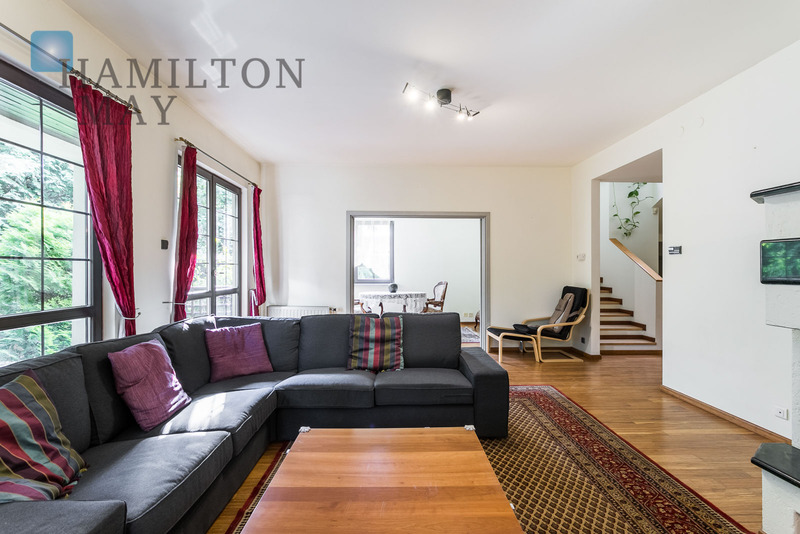 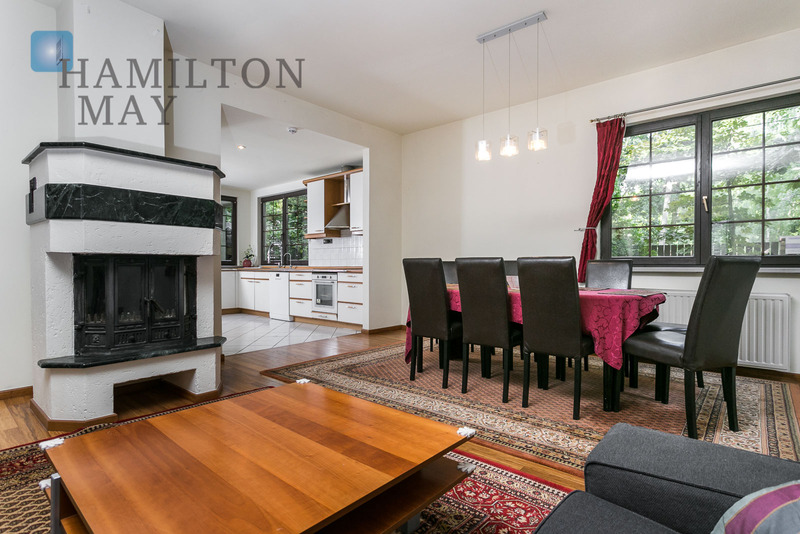 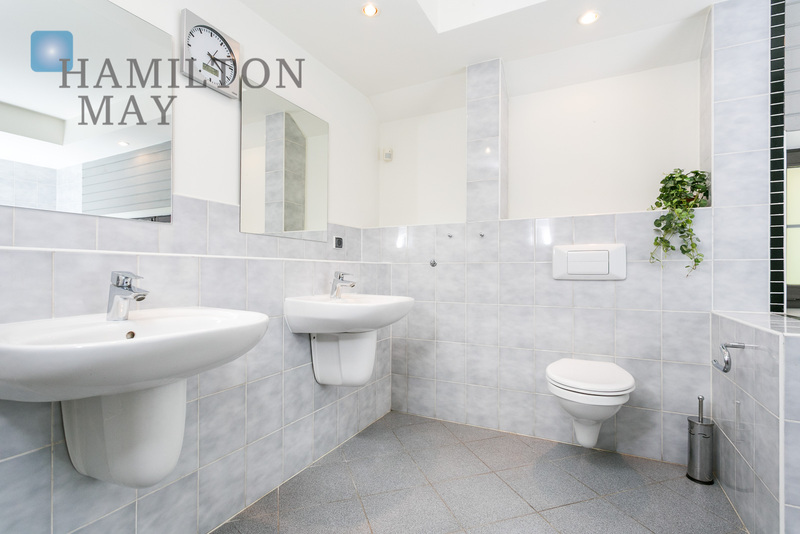 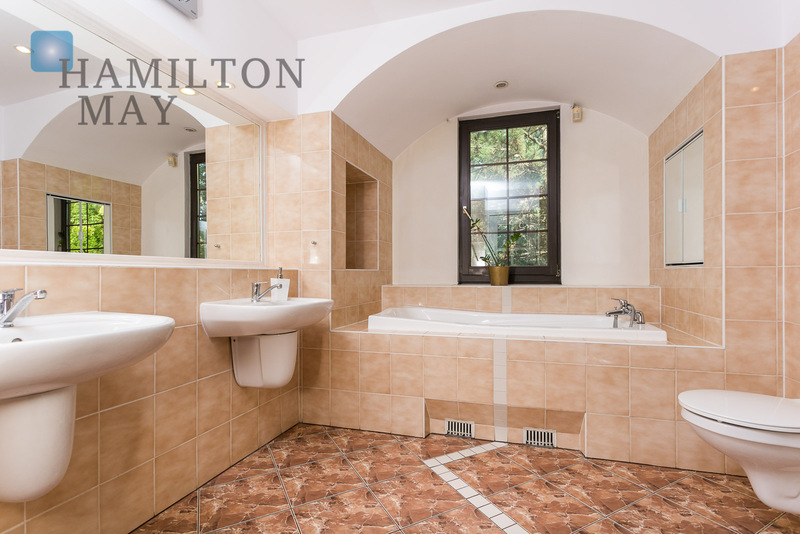 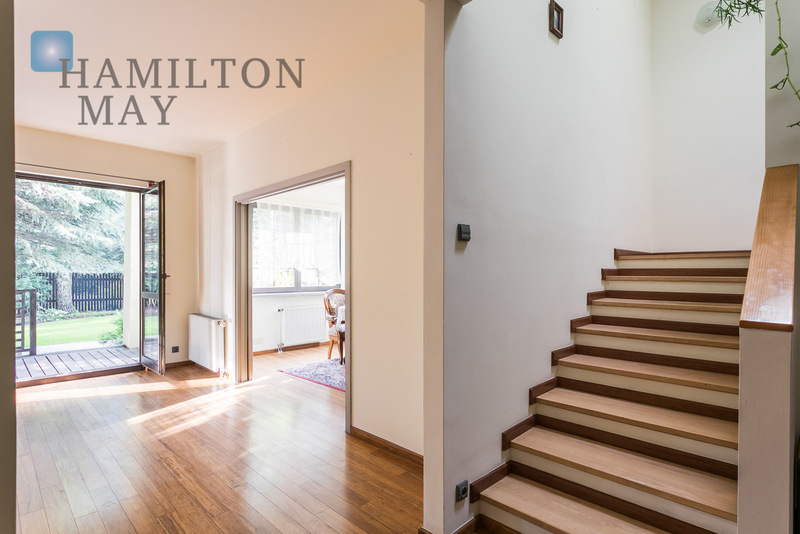 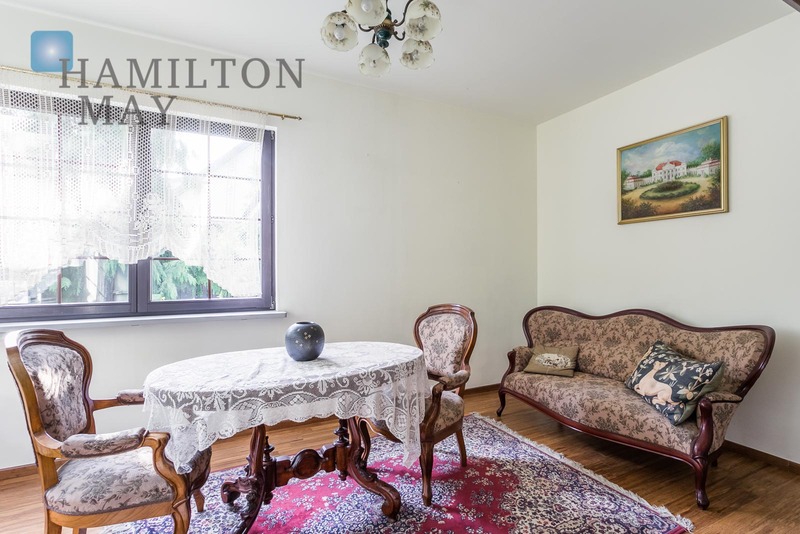 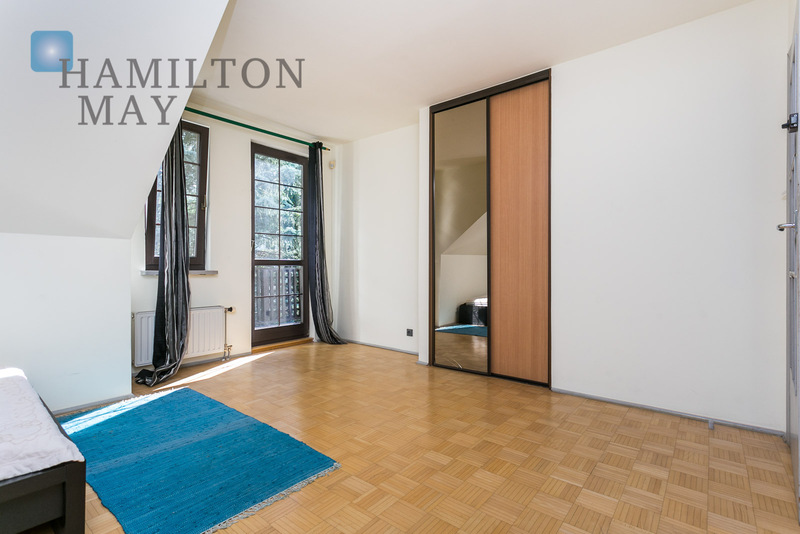 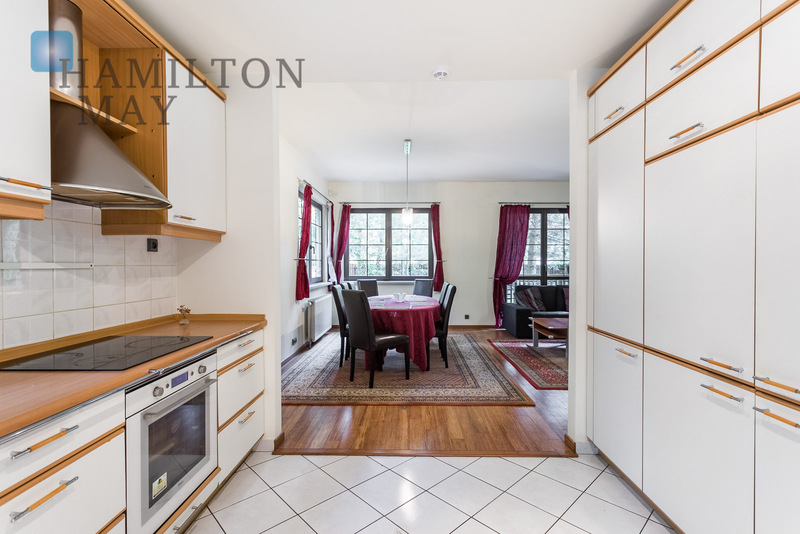 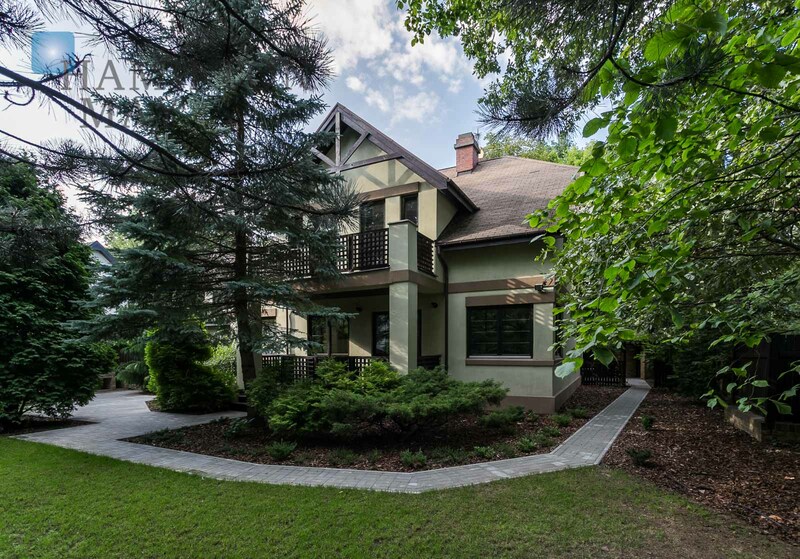 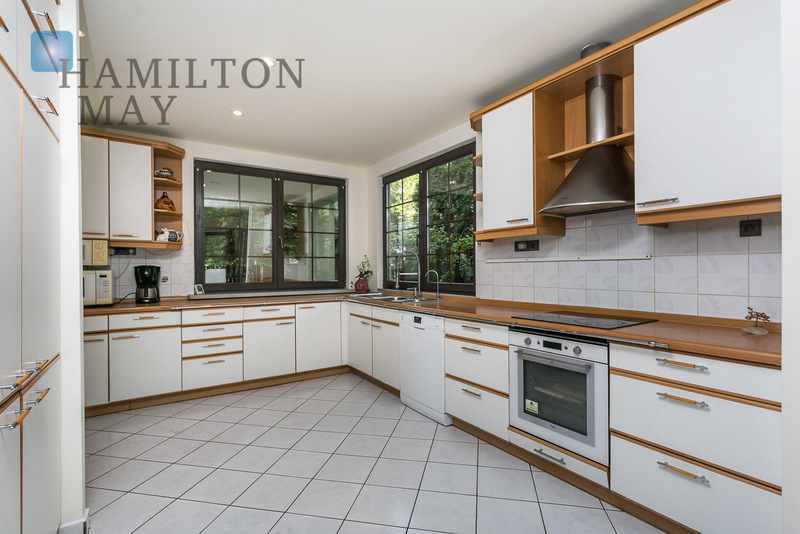 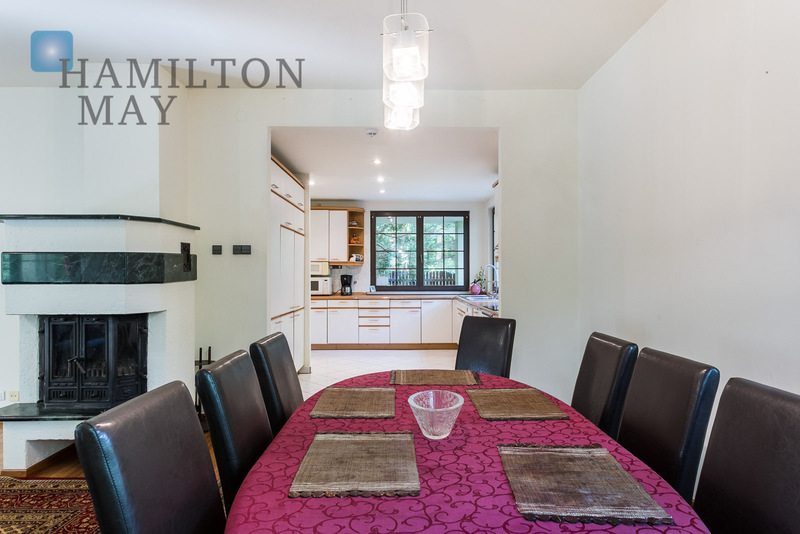 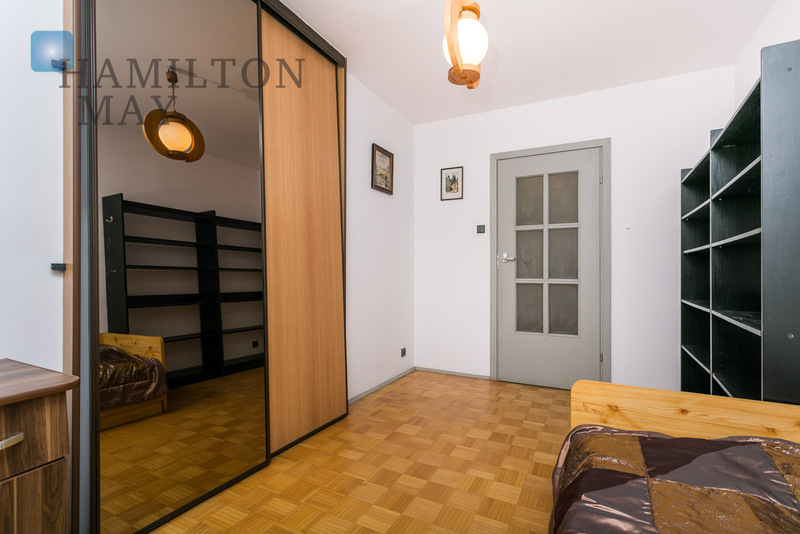 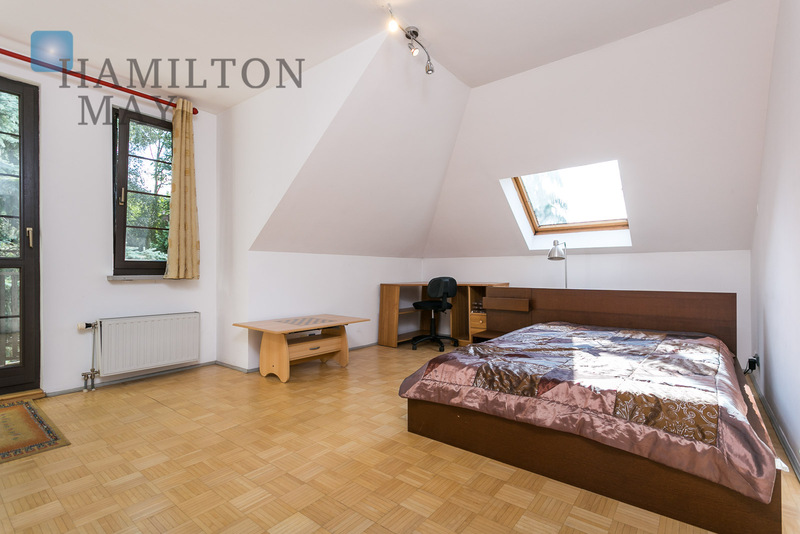 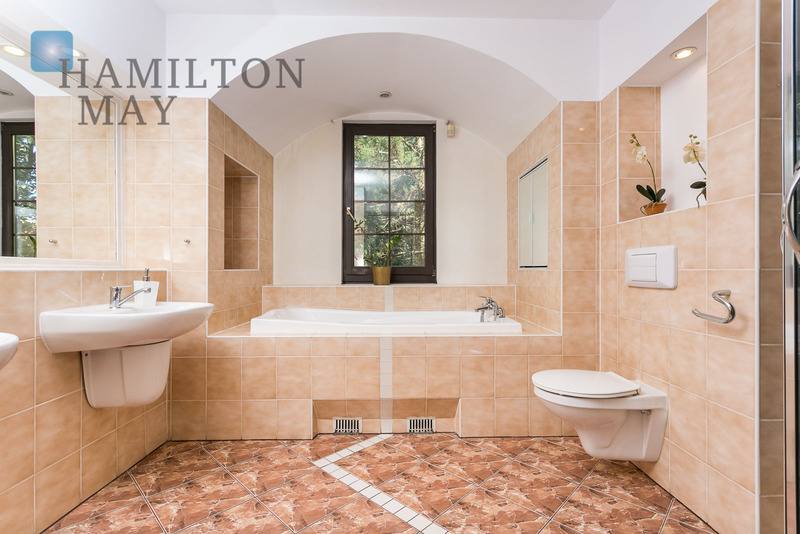 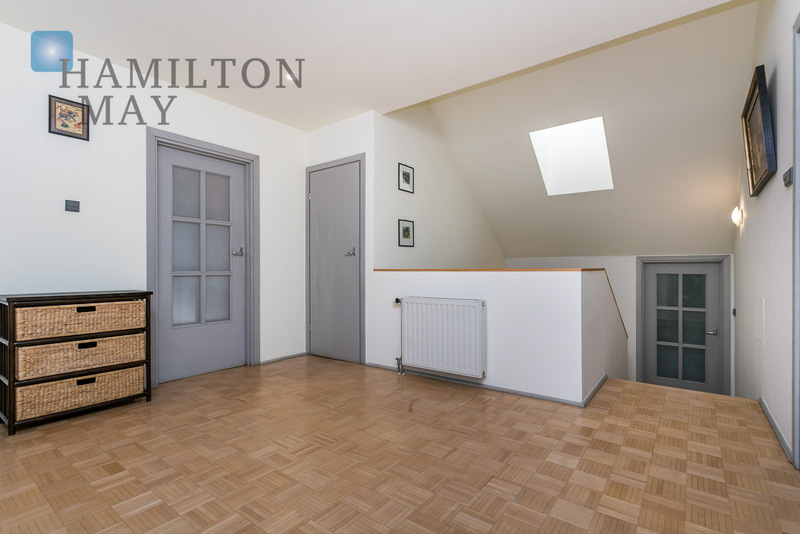 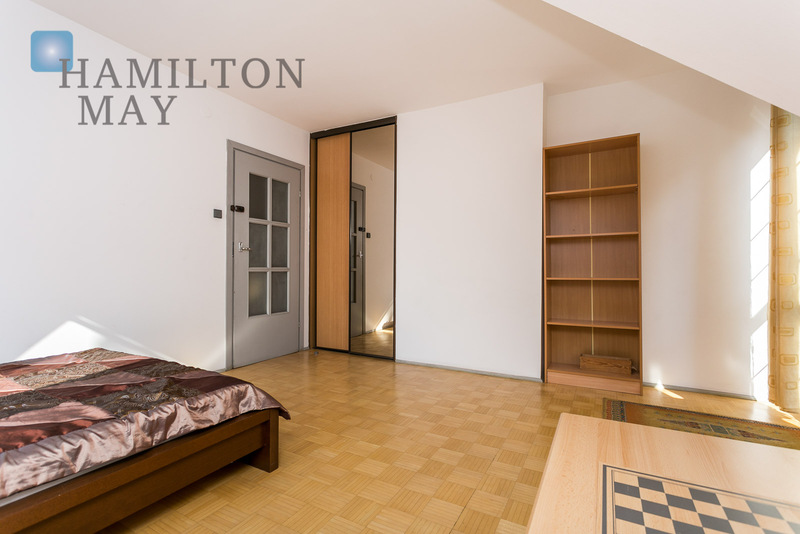 Hamilton May presents a family house offered for sale in a quiet neighborhood, surrounded by beautiful greenery and old trees. 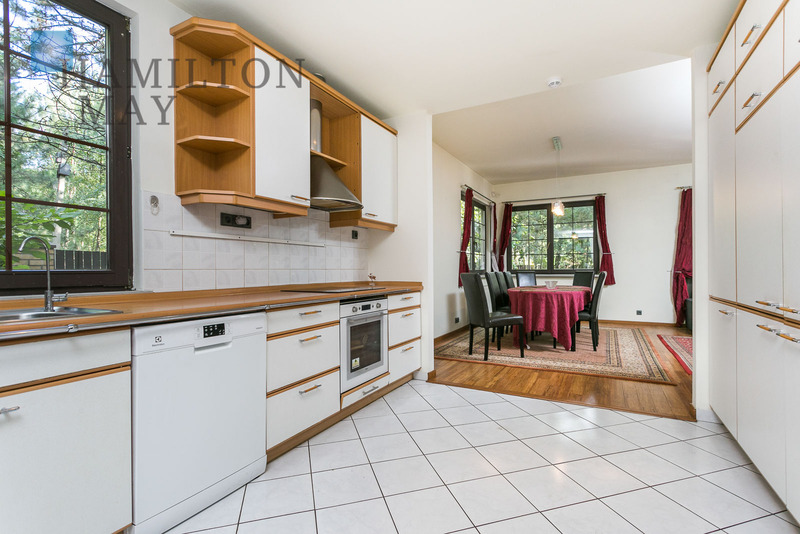 Ground floor: entrance hall with a built-in wardrobe, spacious living room with a fireplace and access to a beautiful garden, large dining room (beautifully illuminated by windows overlooking the garden), functional kitchen (sufficient for a large family), separate toilet, pantry (with additional fridge), garage for two cars with an automatic gate, utility room with a freezer, as well as an additional room for storing garden equipment. 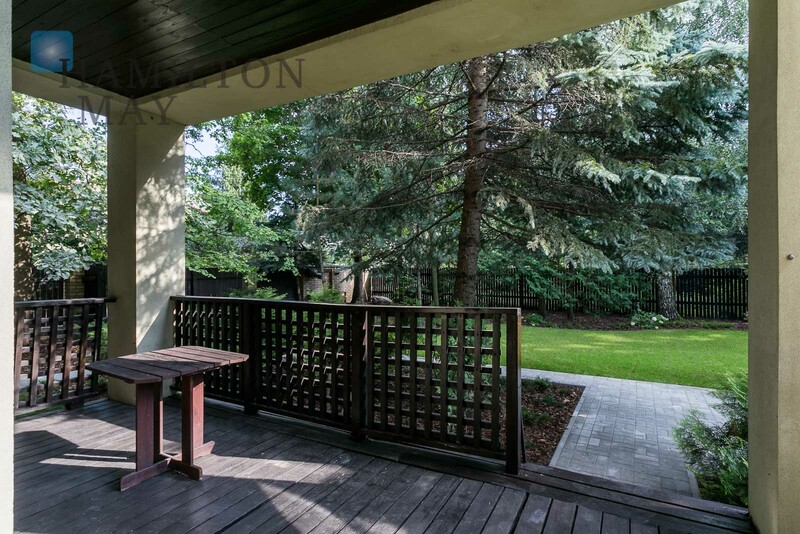 The beautiful garden is ideal for family recreation and comes with a large built-in grill, as well as a gazebo with a table - perfect for organizing all sorts of parties and celebrations. 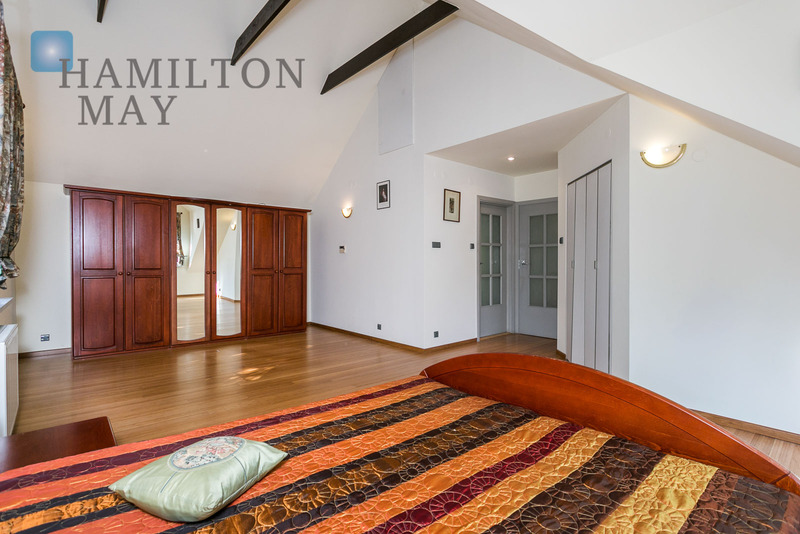 Mezzanine: master bedroom with a bathroom and wardrobe. 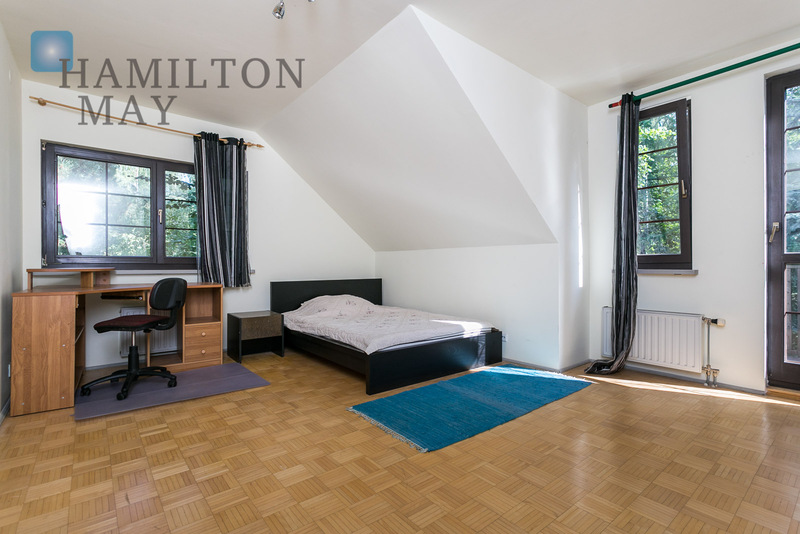 First floor: four large and functional bedrooms, along with a large family bathroom and utility room. 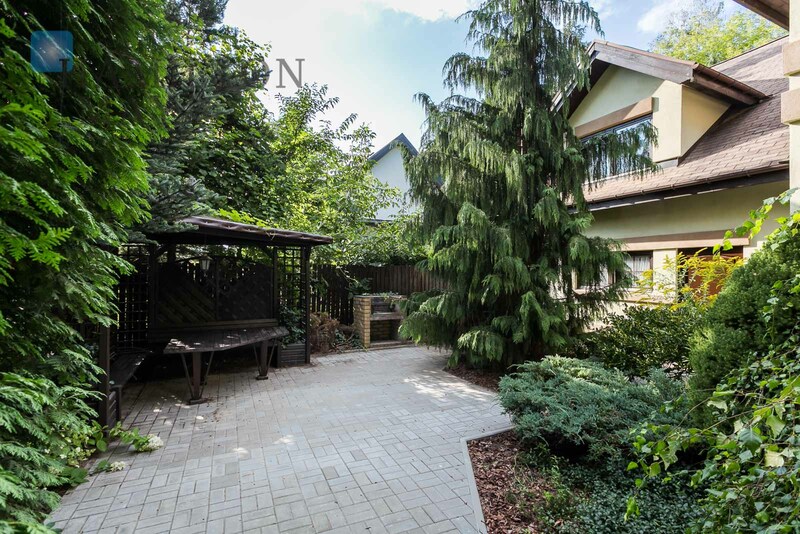 This large, well-developed house has been used by its owners from the very beginning. 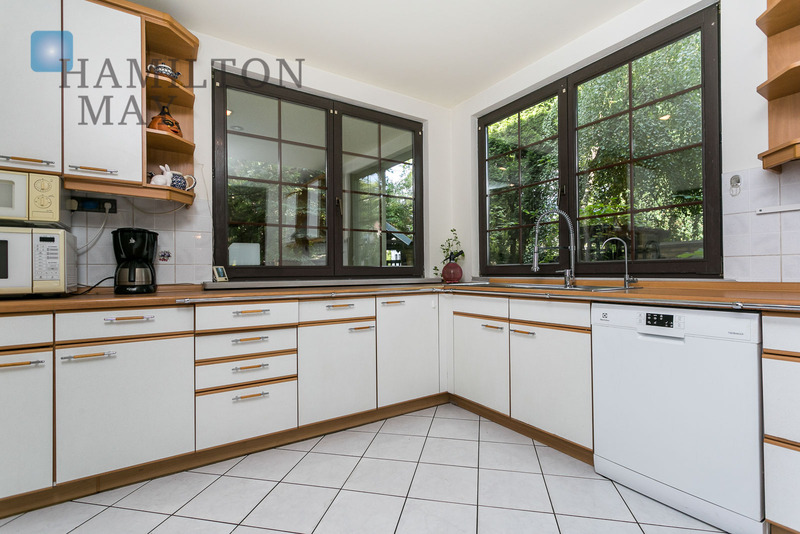 It is insulated and equipped with an efficient heating system. 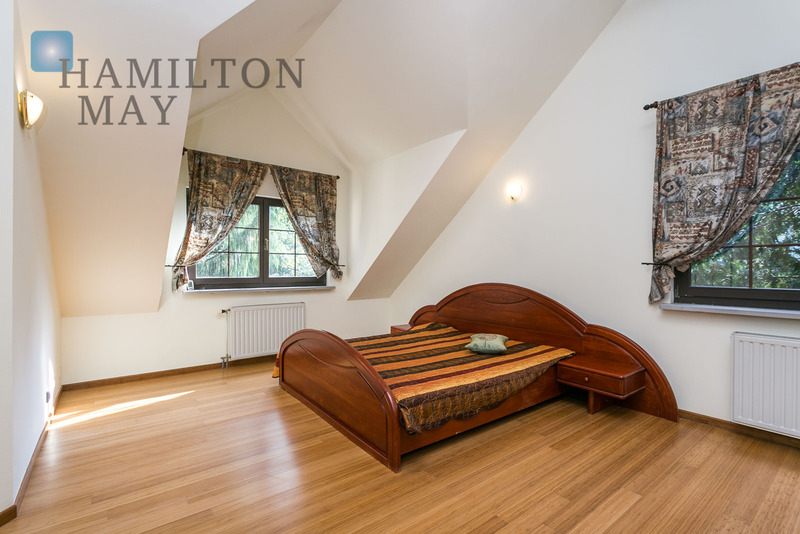 Monthly fees include garden maintenance (winter and summer), alarm installation, satellite TV, Internet, gas, water and electricity. 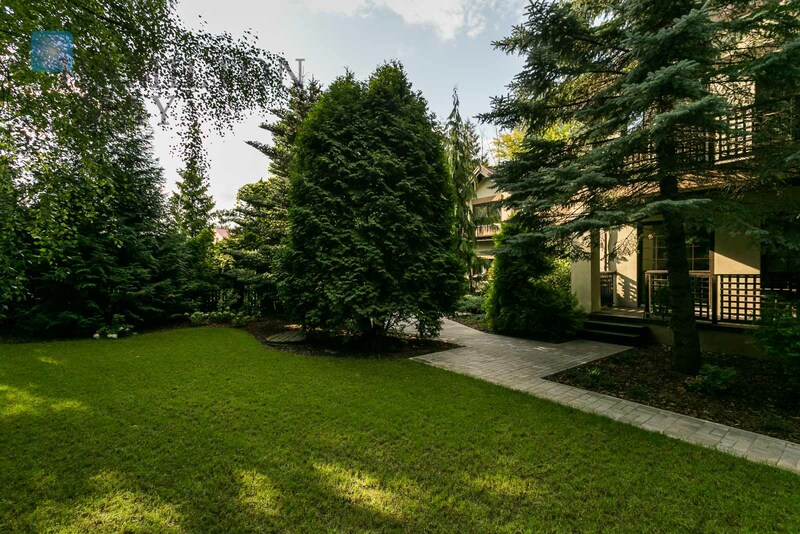 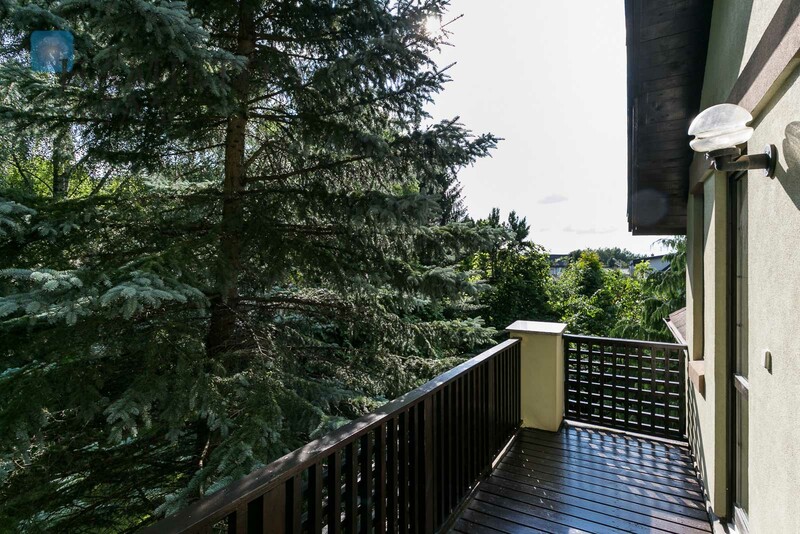 The location of the property offers its residents unique comforts of being able to relax in your own garden, close to nature, surrounded by chirping birds and away from the hustle and bustle of the city center. 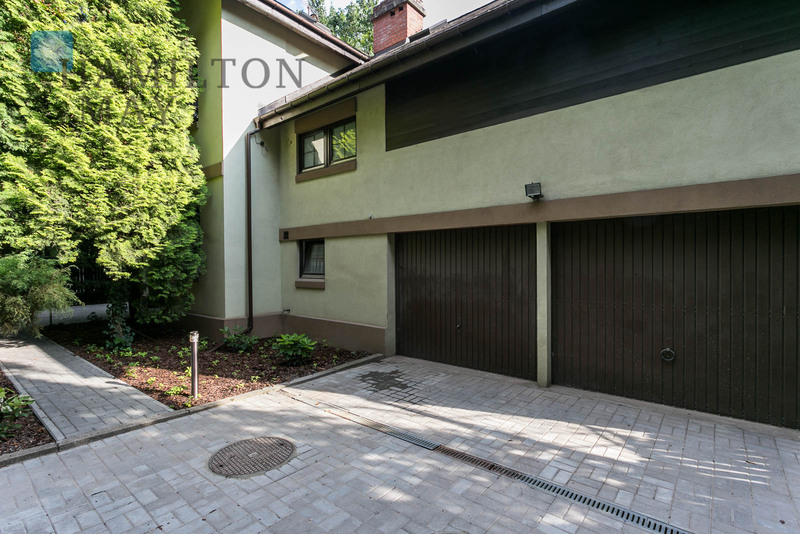 Excellent access to schools; American school is located by the Konstancja settlement - several more are situated in Wilanów. 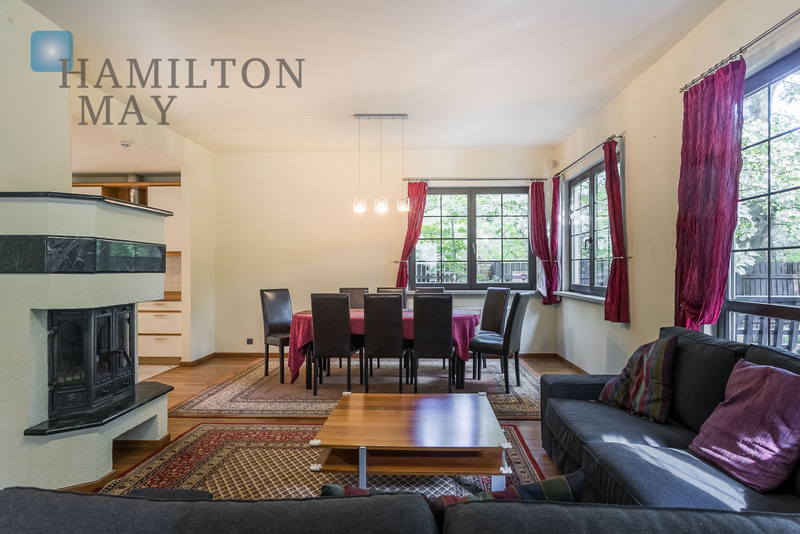 A perfect family house for those willing to enjoy carefree moments while spending lots of time together.